Age seems to have caught up with me. I used to have porridge only when I was not feeling well. And when I am well, I would definitely not have porridge for lunch as it was not filling. But now, ironically, I enjoy a bowl of porridge for lunch every now and then. Yes, even if the weather is scorching hot, I somehow cannot say no to this porridge. I am surprise that no one has shared about Xiang Ji Porridge 香记粥品 as it is a hidden gem! 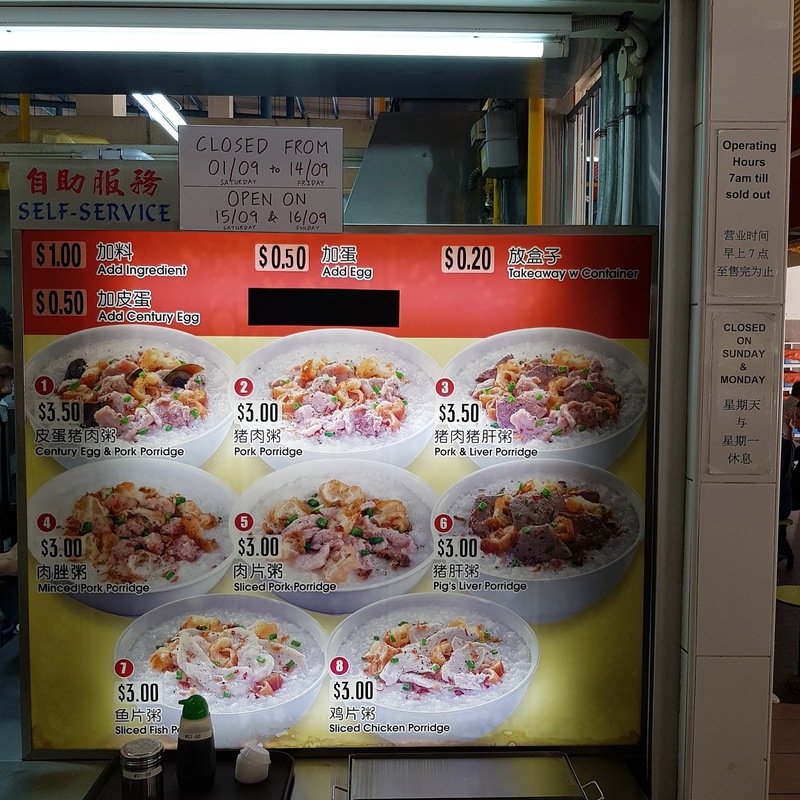 The stall is located at Telok Blangah Crescent Hawker Centre, which is quite out of the way as it is not near any MRT stations. It is located 5 minutes away from Defence Science and Technology Agency (DSTA) and SAFRA Mount Faber. The stall is open from Tuesday to Saturday and business starts at 7am till sold out, which is usually slightly after 1pm. During lunch time, the queue can stretch to more than 10 persons long. This is how popular they are! 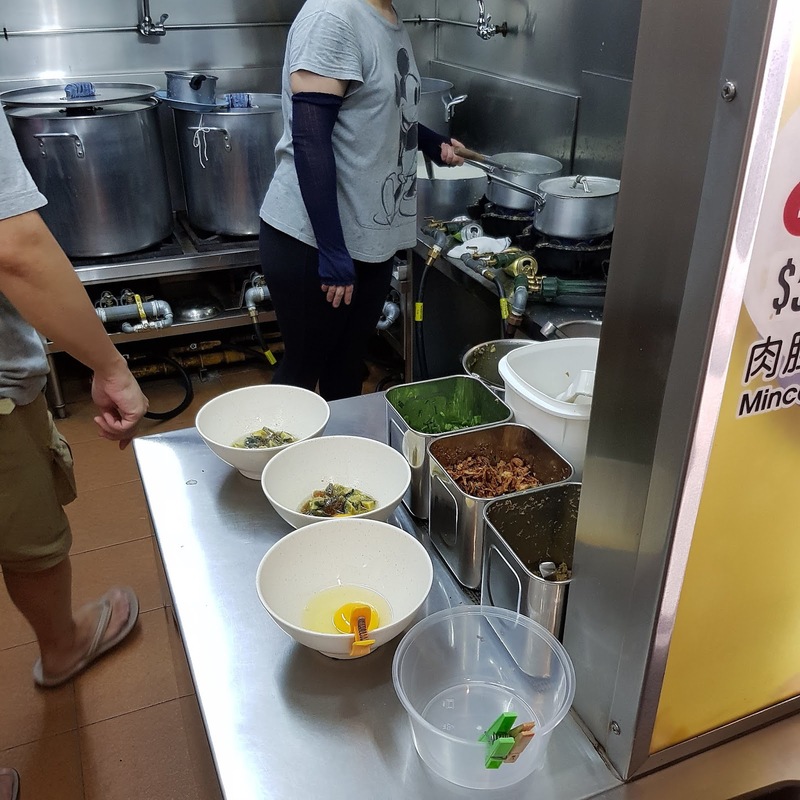 In terms of variety, they offer a wide range, from century eggs, pork liver, pork minced meat, pork lean meat, shredded chicken to fish. The porridge has a grainy texture as it is well cooked till the grains are broken into slightly smaller pieces. 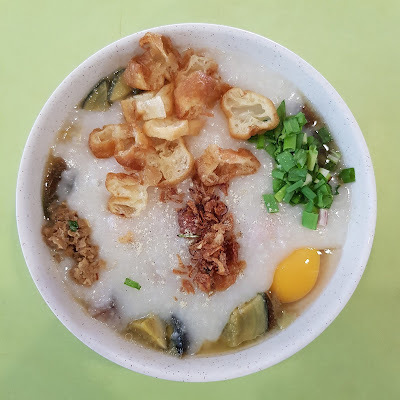 Each bowl of porridge comes with generous toppings of fried fritters, spring onion, shallots and preserved vegetable. There is no need to add additional seasoning as the porridge is flavourful, not to the extent of salty, and the preserved vegetable will provide additional flavour. 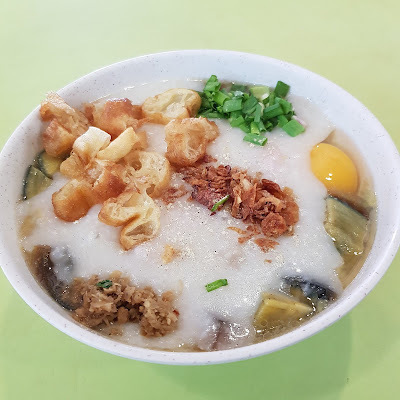 My favourite and usual dish is the Century Egg and Pork Porridge which cost $3.50. I will usually add an egg for $0.50 to make the texture creamier and provide more flavour. The amount of ingredient given is quite generous (you can see the amount of century egg given in the photos above). 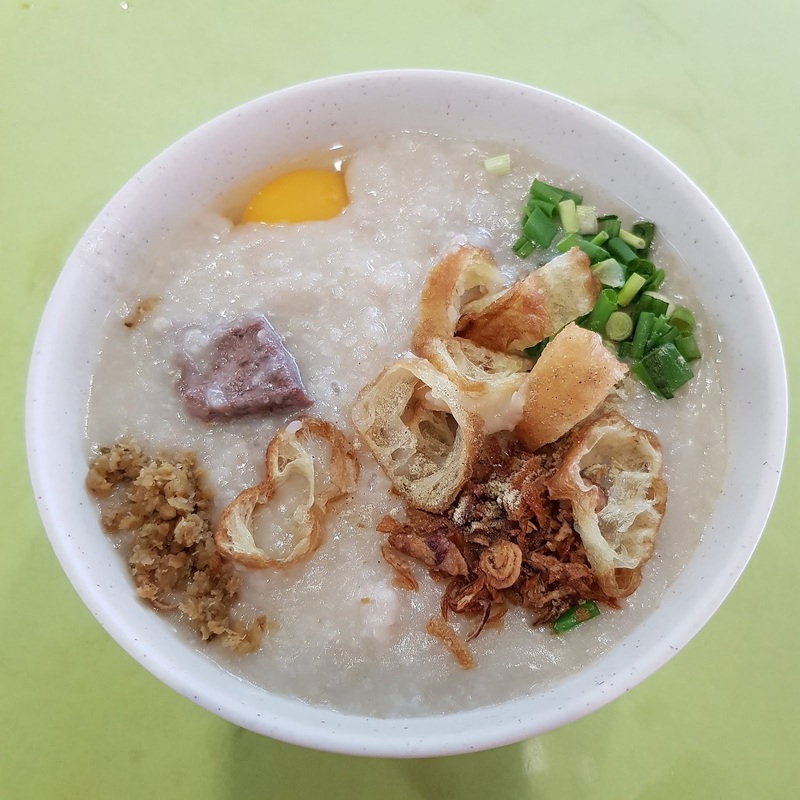 Another combination which I frequently order is the Pork and Liver Porridge $3.50 with Egg $0.50. 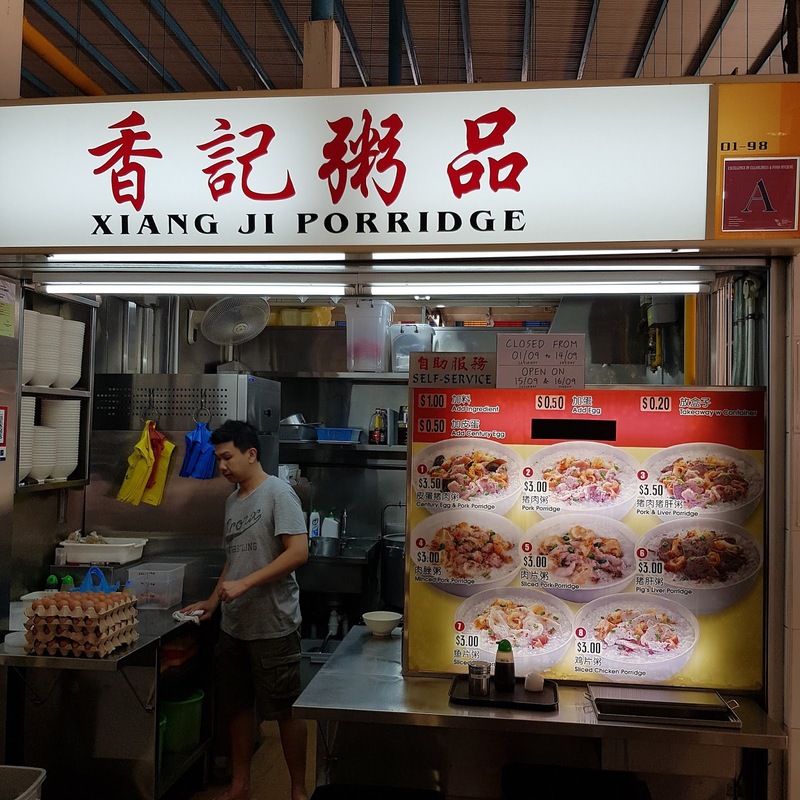 Since I chanced upon this stall, I have been eating their porridge frequently. This simple yet unpretentious bowl of porridge certainly punches its weigh. Whether you are feeling under or above the weather, this is one good solid bowl of porridge worth trying!